Our Goal: Vanderbilt will power its campus entirely through renewable energy and commits to carbon neutrality by 2050. 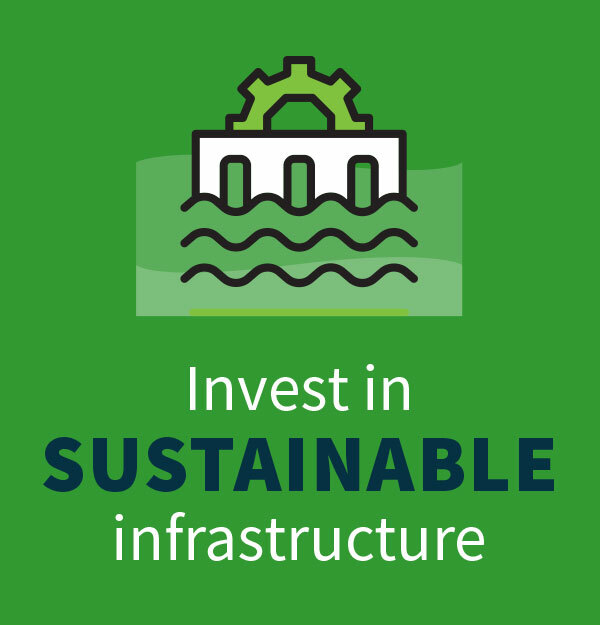 The U.S. Green Building Council’s Leadership in Energy and Environmental Design (LEED) Green Building Rating System is the nationally- accepted benchmark for the design, construction and operation of high- performance sustainable buildings. Organizations must apply for the certification, which is recognized as proof that a building is environmentally responsible, profitable and a healthy place to live and work. 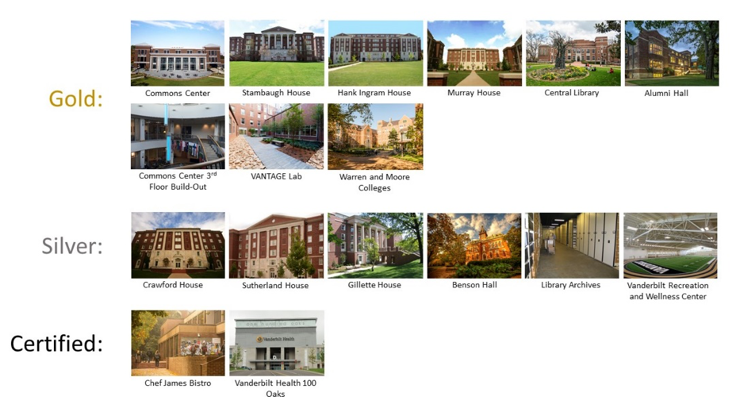 Vanderbilt University has a total of 19 LEED-Certified projects since 2007. The WELL Building Standard is a performance-based system of measuring, certifying and monitoring features that affect human health and well-being in the built environment, including air quality, water, nourishment, light, fitness, comfort and mind. Organizations must apply for certification, which certifies that the building is optimal for human health and well-being. WELL pilot: Nursing Health and well-being inform every part of Vanderbilt University School of Nursing’s new $23.6 million building expansion, opening Jan. 22. The expansion was designed to target WELL Silver certification, which is garnered by meeting specific requirements in building design and implementing specific operational policies, such as housekeeping standards. 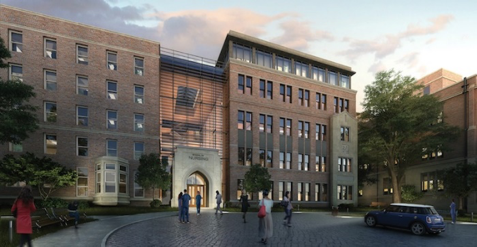 Once the certification process concludes, the university anticipates that this building will be the first complete, ground-up structure in Nashville to carry the WELL designation. Green roofs are building roofs that are partially or completely covered with vegetation planted over a waterproofing membrane. 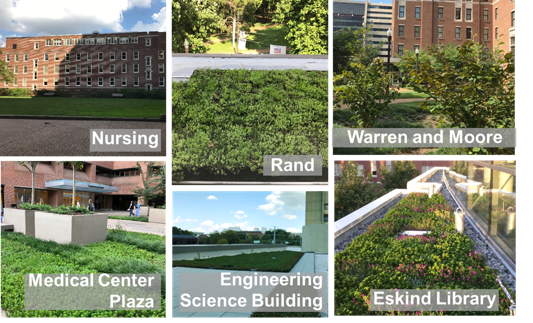 Vanderbilt has six vegetated roofs across campus, which provide multiple benefits including reduced energy use in buildings, reduced urban heat island effect, improved stormwater management, increased roof longevity, and improved aesthetics. Many of the vegetated roofs at Vanderbilt are “hidden in plain sight” and act as plazas or lawns. The newest green roof was installed as a part of a major renovation of Eskind Library. A group of students organized a green roof awareness event in 2017 that led participants through the green roofs across campus to highlight these unique features and share information about the benefits.